My name is Thao Tran, a Vietnamese GMAT aspirant. In January 2019, I sit in for the second attempt, I was surprised on the test date that Quant and Verbal sections had been changed with shorter time and less questions. I was studying mostly through GMAT Prep and OG books. I scored 640 (Q47, V31). I only answer 29/31 questions for Quant so the Q47 actually didn't reflect my real ability. Yesterday, March 18, 2019, I sit in for my third attempt and got 650 (Q44, V36) again. I bought the ESR for my yesterday test and saw that I scored V44 on reading comprehension, which is really great and I'm thankful to e-GMAT but my CR went down significantly. Since the beginning of my GMAT journey, my CR has always been the driving force of my Verbal score. Now seeing it this low (V27 for CR sub-section), I'm quite sad. My explanation is that (1) I tend to focus more on either Verbal or Quant after each of my attempt, hence significant increase in my previous weaknesses but significant decrease in my strengths, (2) I might have overlooked questions of my strengths, e.g. CR questions and Quant section during the test, hence decreasing the accuracy and (3) My nerves on test day might have affected my performance. Hello thaotran90 ....welcome to the community. It's true that your scores are exactly the same as the ones you got in 2016, but the 720 you got on GMATPrep 5 shows that you can get a 700+ on the actual GMAT. However, unless you've been doing well consistently in RC, you should not assume that the 44 your ESR shows for RC is accurate. Nor should you assume that it is only your CR that you need to work on. Go through the other official practice tests you've taken and check whether there is a pattern. Thank you very much for your advice. I'll definitely do a thorough review and no assumption this time around. I’m glad you reached out, and I’m happy to help. Given that you have not put your full effort into your GMAT prep, 650 is not a bad score! That said, to hit your 700+ goal score, you have to put maximum effort into your GMAT prep and spend the time you need to methodically improve your quant and verbal skills. Specifically, you need to go through GMAT quant and verbal carefully to find your exact weaknesses, fill gaps in your knowledge, and strengthen your skills. The overall process will be to learn all about how to answer question types with which you currently aren't very comfortable and do dozens of practice questions category by category, basically driving up your score point by point. When you do dozens of questions of the same type one after the other, you learn just what it takes to get questions of that type correct consistently. If you aren't getting close to 90 percent of questions of a certain type correct, go back and seek to better understand how that type of question works, and then do more questions of that type until you get to around at least 90 percent accuracy in your training. If you get 100 percent of some sets correct, even better. In order to follow the path described above, you may need some new quant and verbal materials, so take a look at the GMAT Club reviews for the best quant and verbal courses. Also, you may find it helpful to read the following articles about The Phases of Preparing for the GMAT and How to Score a 700+ on the GMAT. Thank you very much for the links and advice on Quant section. I'll follow accordingly. Thank you for the detailed advice. I actually have not heard of Target Test Prep and its focus on Quant section. I just browsed through your blog and enjoyed a lot of your detailed articles. I will definitely look further. GMAC has publicly stated that the Official Score that you earn on Test Day is within +/- 30 points of actual ability. Your 3 Official Scores show that you essentially performed the same each time (650 +/- a few Scaled Score points). You handle certain aspects of the GMAT consistently well, but you also make certain consistent mistakes. You're actually closer to a 700+ Score than you probably realize, but you'll have to make some fundamental changes to how you 'see' (and respond to the Test) to consistently score at that higher level. 1) What type of study routine did you follow over the last 2 months. Did you study a consistent number of hours each week? 2) How have you scored on EACH of your CATs/mocks over the last 2 months (including the Quant and Verbal Scaled Scores for EACH)? While the ESR doesn’t provide a lot of information, there are usually a few data points that we can use to define what went wrong (and what you should work on to score higher). Since you have purchased the ESR, then I'll be happy to analyze it for you. You can feel free to email or PM it to me directly. 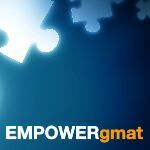 I did order your EmpowerGMAT for a month, from January to February 2019 to prepare for my third attempt. I appreciated most your teaching on reading speed and skipping the so-called weird questions. My reading speed has increased as I tried to implement your method and it increased my RC sub-section score from 29 (for 2nd GMAT attempt) to 44 (for 3rd attempt) and SC score from 31 to 37. 1) What type of study routine did you follow over the last 2 months. Did you study a consistent number of hours each week? -> I studied consistently from end of January 2018 to the week before my 3rd attempt on March 18. The last week before I had this big work project and so I just reviewed concepts, not really studied. I have my own business so after I assigned work to my staffs, I could take off anytime to study. And I studied on average 3 hours per day. 4) What Schools are you planning to apply to? -> I haven't decided yet but my dream school is Yale. I have my own business and I know Stanford is the hub for Entrepreneurship but I don't think I can get in Stanford. Other school in North California I'm also interested in is UC Berkeley. Attached is my ESR for my second attempt. My ESR for the third attempt will be followed after this post. 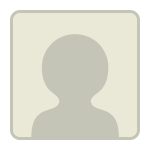 Originally posted by thaotran90 on 19 Mar 2019, 20:48. Last edited by thaotran90 on 19 Mar 2019, 20:51, edited 1 time in total. Attached is my ESR for my 3rd attempt. I've sent you a PM with some additional questions. Thank you and I've replied. My pleasure! If you have any further questions regarding the course, feel free to reach out to me directly. Thank you very much for the links and advice on the Quant section. I'll follow accordingly. That's what we do here in GMATClub .....we learn and then share the experience with peers. Please get involved with the community ....help others learn. It will help you solidify your learning. And ..... definitely share the information ...if you find somebody looking for ( As I did).